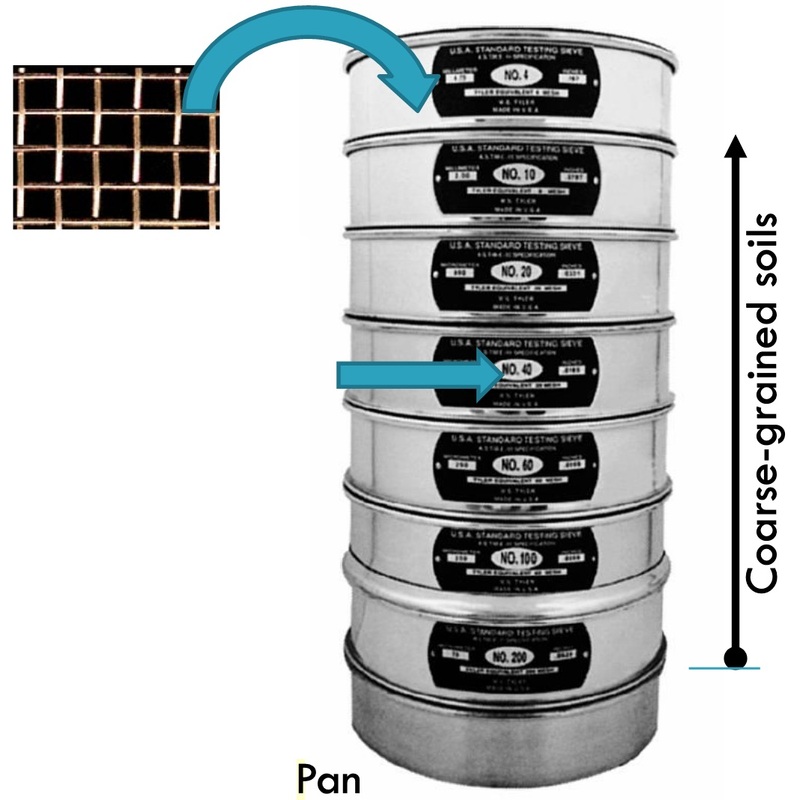 The grain size characteristics of soils that are predominantly coarse grained are evaluated by a sieve analysis. 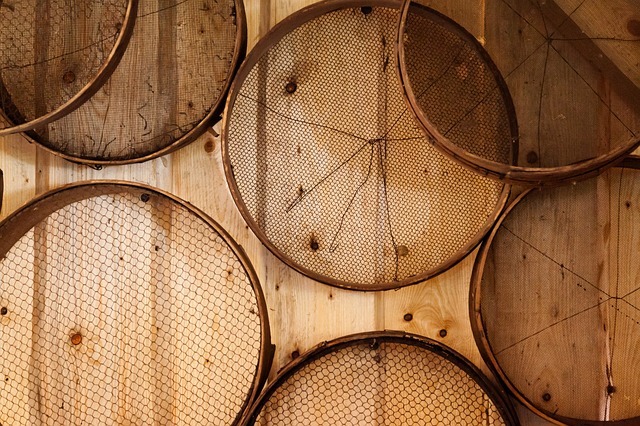 A nest of sieves is prepared by stacking test sieves one above the other with the largest opening at the top followed by sieves of successively smaller openings and a catch pan at the bottom. Opening mesh sizes of commonly used sieves are shown in table below. A sample of dry soil is poured onto the top sieve, the nest is covered, and it is then shaken by hand or mechanical seive shaker until each particle has dropped to a sieve with openings too small to pass, and the particle is retained. 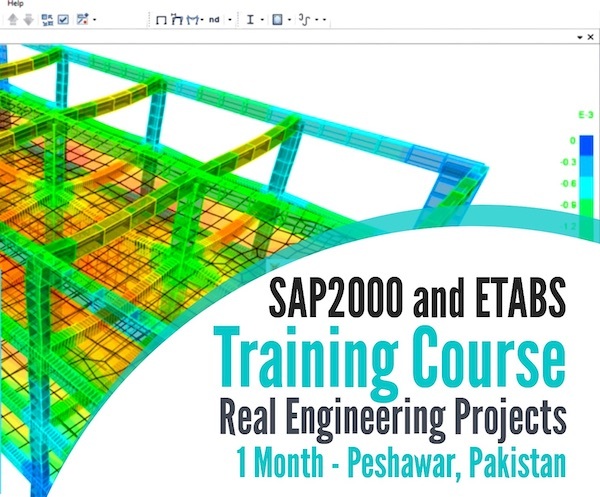 The cumulative weight of all material larger than each sieve size is determined and divided by the total sample weight to obtain the percent retained for that sieve size, and this value is subtracted from 100% to obtain the percent passing that sieve size. Results are displayed by plotting the percent passing (on a linear scale) against the sieve opening size (on a log scale) and connecting the plotted points with a smooth curve referred to as a grain-size distribution curve. It is determined from the grain size distribution curve at the point where the curve crosses a horizontal line through the 10% passing value on the y axis. Other D sizes are found in a similar manner. The D50 size, called the median grain size, is the grain diameter for which half the sample (by weight) is smaller and half is larger. 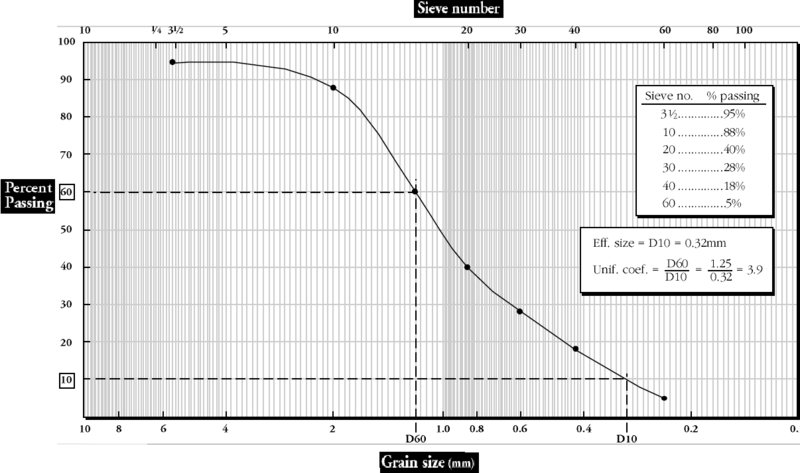 Two parameters are used to describe the general shape of the grain-size distribution curve.